In 1919 wealthy retailer Arthur Letts purchased a 3000-acre tract of land known as Wolfskill Farm. His son-in-law, Harold Janss developed the area in started selling new homes in 1922. This area became known as Westwood. It is now home to many points of interest, including the Armand Hammer Museum, the Art Deco Crest Movie Theater, the Mann Village Theater, the Westwood Village shopping district, and perhaps most famously, the University of California Los Angeles campus (UCLA). Westwood Village is a leading entertainment and commercial sector in the greater Los Angeles area, and it’s proximity to other LA communities make it the perfect location for residence, business, and entertainment. 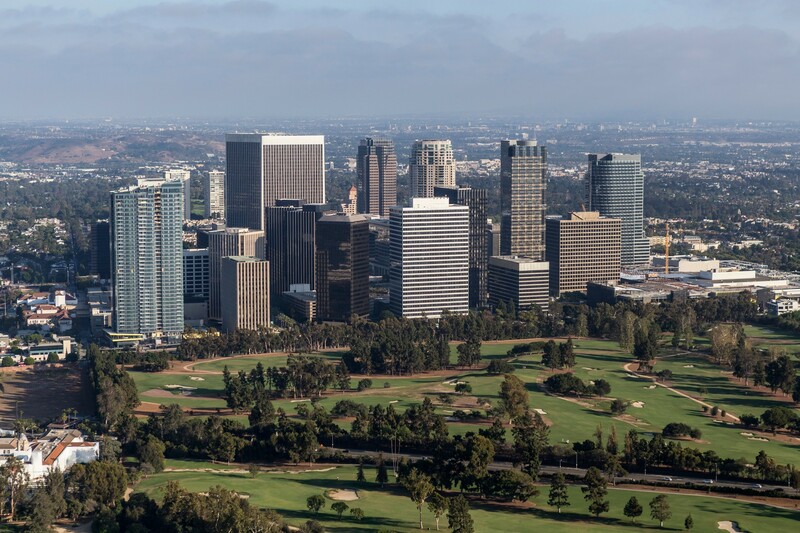 The Wilshire Corridor and Century City areas are famous for the Luxury high and medium rise “Full Service” condominiums and proximity to Beverly Hills. Some of the newer buildings include The Californian, The Carlyle, Beverly West and The Century, and the newly refurbished Century City Shopping Mall. Century City is built on what used to be Twentieth Century Fox movie lot and is its namesake. A complex of imposing commercial and residential buildings was designed to impress and inspire awe of corporate America via wide avenues, over-scaled architecture, which lacks intimacy and human scale characteristic of buildings in Beverly Hills. There is little or no on-street parking and few crosswalks for pedestrians. Cheviot Hills and Beverlywood are fantastic communities located at the base of Beverly Hills and in close proximity to the Fox and Sony Studios. These neighborhoods have long supported homes to many actors and studio executives and located South of Pico Boulevard. Both the Hillcrest Country Club and Rancho Park Golf Courses are located in the center of these communities.